It looks like Deftones are teasing the release of new music next year. Deftones have announced a new tour with Rise Against. Thrice will be opening and you can find the dates below. AFI will be joining Deftones on their UK tour dates next May. Deftones have partnered with San Diego’s Belching Beaver Brewery to create a new beer called “Phantom Bride IPA.” The full press release is below. Deftones have announced some more US and Australian tour dates. You can find those below. The Lumineers have their first number one album on the Billboard 200. Deftones appear at number two with 71,000 copies sold (69,000 pure album sales). It’s been well-documented how tumultuous the nearly 30 year career of Sacramento rock band Deftones has been. From the tragic loss of original bassist Chi Cheng, to the in-fighting, to the passive approach the band took to recording their mid-2000’s records – it’s somewhat remarkable that Deftones didn’t break up years ago. Instead, the band has unleashed Gore, their most fascinating release since 2001’s breakthrough White Pony. Deftones performed “Prayers/Triangles” and “Hearts/Wires” on Jimmy Kimmel last night. The videos can be found below. 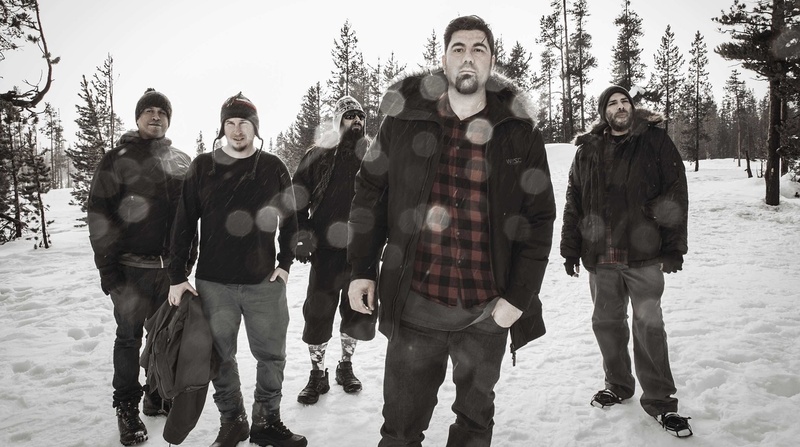 Deftones’ new video for “Prayers/Triangles” can be found on YouTube or by hitting read more. Drummer Abe Cunningham talks the journey behind Deftonesʼ eighth record, Gore, trying to make full albums in a singles-based world, and playing around with juxtapositions while striving for balance at this point in the band’s career. Deftones’ new song, “Hearts/Wires,” was played last night on Daniel P Carter’s BBC Radio 1 Rock Show. It starts at about the 2:40 mark, or is waiting to be taken down on YouTube.